Newly updated condo in Cayman Reef Resort. The unit has been renovated and newly furnished all the way around. Fresh Paint. Brand new Bathroom installed with walk in tile shower. New King Size Bed. 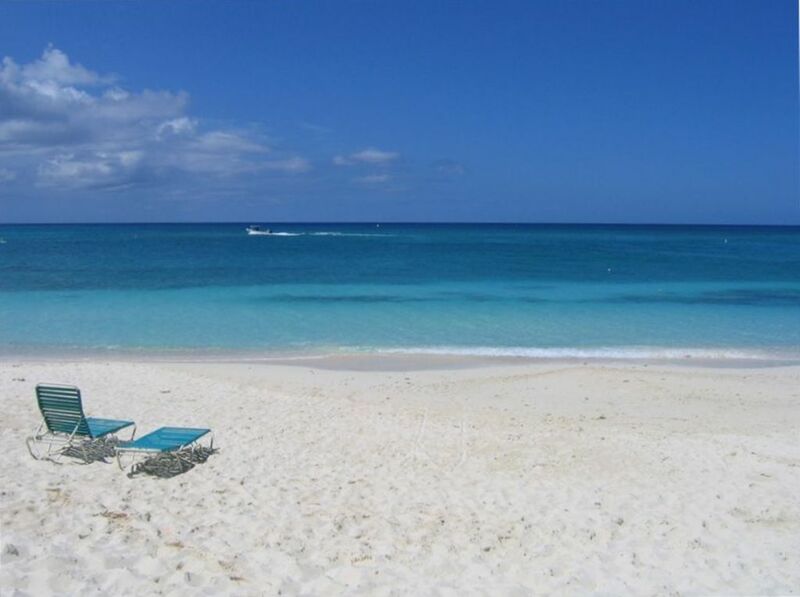 Located in a well maintained, beautiful resort on Seven Mile Beach. Pool and Beach only foot steps from porch. Walk directly from the porch to the beach and into the ocean for a relaxing dip in the warm water or a walk down the beautiful white sandy beaches. Resort is on beach side and it is only 200 feet from the unit onto the sand. Perfect for a few nights or a few months. Located across from the connecting road to Caymana Bay with newly built shops, restaurants, and movie theater. No need for a car, plenty to walk to. Royal Palms Bar and Grill is 200 feet up the beach from Cayman Reef Resort. Plenty of room for 2-4 people looking for endless days in the sun on the beach. Resort is for owners and guests only. Tennis court and pool are located on property and are private for owners/guests. Georgetown is just a few miles away. Come and stay to enjoy what the islands have to offer. The rates and calendar are always up to date regarless of last updated date. Great Clean, well maintained property. Family oriented located in perfect section of 7 miles beach within walking distance on Camana Bay, shops, restaurants. Unit looks at the water through the courtyard. Excellent location within yards of great beach access. Condo with plenty of towels. New flat top for sofa bed was an excellent idea. Be sure to bring Tide pods for laundry. Grocery and restaurants easy to get to with city bus right in front of condo. I think this was year 7 of us staying in Unit 3 at Cayman Reef. We love the location, the easy walking distance to town and great restaurants - and the other guests are always friendly and fun. The unit offers everything we might need and suits us perfectly. I am sure we will be making reservations for next year quite soon! With the access to the beach and restaurants, it is hard to beat this location. The condo was the perfect size for the two of us and our toddler. Fully stocked with everything you need to enjoy your vacation. Steps away from beach and pool. We had a wonderful stay. The location was perfect with a very short walk to the beautiful beach and easy walk to restaurants, bars and shopping. There are lounge chairs on the beach to use and the condo has beach toys and floaties to use as well. The condo had everything we needed. It was perfect for the price. We would definitely stay here again. We enjoyed our stay in Unit 3 at Cayman Reef. The owner was always available to contact and was extremely nice to work with us after an injury delayed our trip. The location was easy to access any where we wanted to go. The beach is everything you could want on Seven Mile Beach! The condo worked well for our family of 4. Located on 7 Mile Beach just north of the Marriott (about 5 minute walk up the beach from the Marriott). In an all sandy beach area. No Coral. Grocery store is 1 mile in either direction.